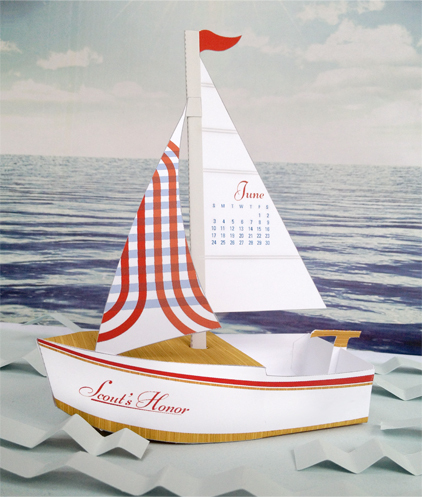 The folks at Scout Creative launched their June printable calendar today - featuring a cute 3D sailboat called Scout's Honor. The free printable is from their Calendar of the Month Club which you can download from their site here. OMG! I love paper toys and this calendar is so fun! What a great idea. And it perfectly epitomizes June!